“I’m sorry, I love you”, “What Happened in Bali?”, “The Master’s Sun” and “Oh My Venus” are some of the dramas that So Jisub starred in. Starting his acting career in 1996, 20 years had passed, so to celebrate his 20th anniversary since debut, So Jisub chose ‘TWENTY’ as his 2017 Asia Fan Meeting title. And on April 7th, 2017 at the Kasablanka Hall, Jakarta, So Jisub finally met his Indonesian fans for the first time! So Jisub walked onto the stage wearing suit which showed his well-built body. His appearance on the stage succeeded in making all the fans screaming, welcoming their favorite Korean actor. The MC also threw a witty statement saying that So Jisub’s name should have been ‘So Handsome’ instead. The fan meeting started with the MC asking him some questions regarding himself. So Jisub said that this was his first time to be in Indonesia and meeting his fans, so he really looking forward for the show and hope the fans will enjoy it. After the small Q&A session with the MC, So Jisub went to the backstage as a video was being played on the screen. In that video, they made So Jisub chose between ‘work out and baby sitting’, ‘kiss scene and bed scene’, etc. The video also showed that So Jisub doesn’t easily get scared as he looks calmly watching ghost and cockroach videos. There were a lot of information about So Jisub from that video alone. After the video ended, So Jisub got back to the stage. The MC then asked some questions regarding the previous video and when the topic was about ‘kiss scene or bed scene’ the fans all screamed again. The next session was another Q&A session, but this time was by fans. A board full of post-it notes from fans was brought to the stage. So Jisub asked the MC to choose the questions. This time, it was a bit more special because the fans were able to ask the questions by themselves. A lot of various questions such as ‘Do you have plan to visit Indonesia again?’, ‘When will you get married?’, ‘How is Kiki?’ and also a request to say I love you which So Jisub happily granted by saying “Aku Cinta Kamu(I love you)”. After the Q&A ended, another video was shown on the screen. This time, it showed the more human, sincere and serious side of So Jisub. He told us sincerely about his thought of his career, love for hip-hop, his views of life, and all other great things that we can learn from. It was such a great thing to be able to do a lot of things just because he likes it, not because he has to do it. So Jisub also said that he had nothing to regret, and if he could go back into his past self, he would not change anything at all because he really loves his life. For today’s show, So Jisub prepared a present for one lucky fan, a perfume which he personally made. A video showing himself personally making the perfume also showed on the screen. Before the fan meeting start, So Jisub had already chosen the lucky fan by walking around the venue and chose a seat. The fan who sat on that seat was the lucky fan. The perfume was said to have a peach fragrance, the type of smell that So Jisub really likes. The lucky chosen fan couldn’t hide her happiness and said that it is the best perfume ever. So Jisub also prepared two more gifts for lucky fans who were chosen by the lucky draw. The paper bags contain his signed hat, T-shirt, and even towel, which of course made all of the fans hope that the lady luck would be on their side today. The first part of the show ended with So Jisub taking selfie with all of the fans in the hall. Taking pictures with fans usually happens at the end of the show, but So Jisub decided to did that in the middle of the show because he said he would be all sweaty later. 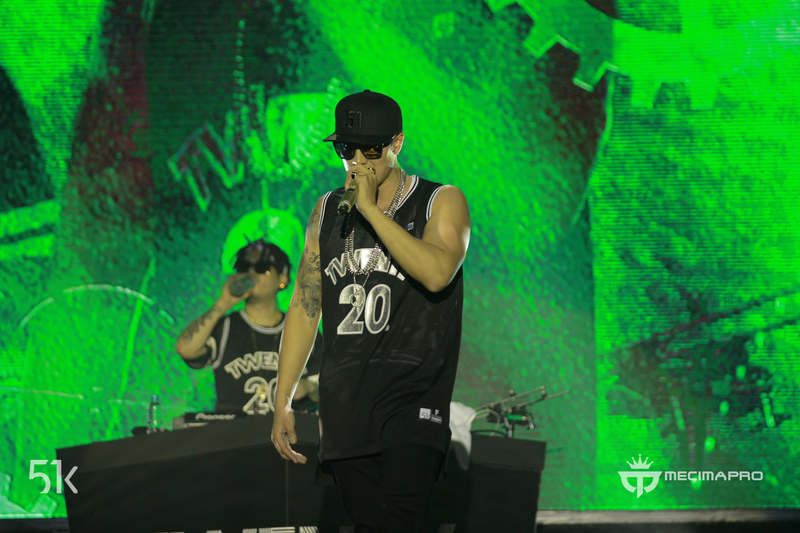 Not only working as an actor, So Jisub is actually also a rapper. He really has a deep interest towards Hip-Hop and continuously releases songs. Seeing his other side and enjoying the performances he did really showed his love towards music. A group called Soul Dive became the guest of the show, making the atmosphere in the hall even hotter and more fun. All the fans stood up and jumping around as they enjoyed the performances. So Jisub also did a great fan service by walking down the stage, taking selfies with some fans and walked all the way to the back of the hall hoping that everyone in every section would not feel left out. So Jisub and Soul Dive performed 12 songs for the night. At the end of the fan meeting, So Jisub said “Aku akan kangen kalian(I will miss you)”. Indonesian fans too, will miss you So Jisub! Please do visit and meet Indonesian fans again soon!